Alumina is the most widely used technical ceramic and is the material of choice in about 80% of engineering applications due to its excellent combination of properties. Fired at over 1600°C (2900°F) to give a fully dense ceramic, alumina exhibits high mechanical strength and stiffness that is retained at elevated temperature. 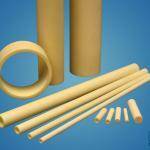 Alumina tubes and rods are used in a wide variety of applications across numerous user industries as a cost-effective yet high-performance solution. The combination of key properties makes them a go-to product in many instances. Thermally stable – Alumina can be used in both oxidizing and reducing atmospheres up to 1600°C (2900°F) and in vacuum furnaces up to 2000°C (3600°F). 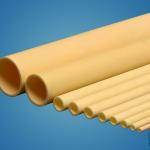 Tubes are fully dense, providing a non-permeable tube that protects from contamination and can be used to create a gas-tight assembly. 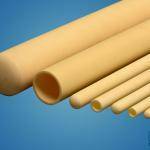 Chemical resistance – Alumina is chemically inert and is not corroded by water or steam. It offers good resistance to strong acids and alkalis at elevated temperatures and is ideal for applications where resistance to corrosive substances is required. 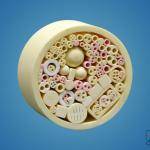 Electrical insulation – Alumina is also widely used as an electrically insulating material. It can be used for insulators operating at elevated temperatures (e.g. furnace lead-in tubes, fuel-cells).